If you owe a federal or state debt, you could be in danger of losing all or part of your refund. 1. What Debts Can Be Taken From Your Federal Taxes? 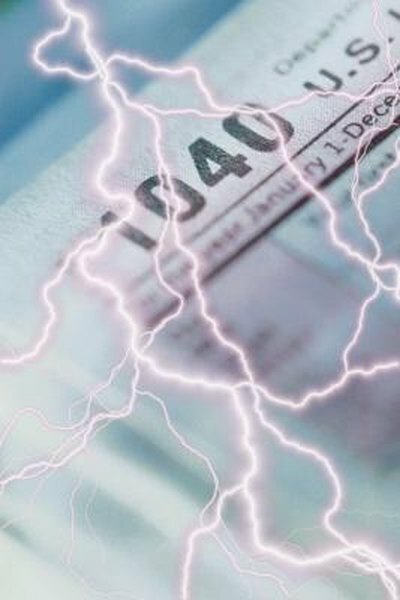 3. Who Can Seize My Federal Income Tax Refund? No matter how careful you are at filing your income tax return, you could still lose your entire refund if it is offset to pay a debt. Only certain kinds of debt are eligible for offset. For example, private debts do not affect your tax return, as only state and federal debts are subject to federal enforcement. To understand whether your refund is in danger of being offset, you should know which debts qualify for an offset and what the criteria are for implementing an offset. A tax offset is what happens when your federal refund is applied to a federal or state debt. The Department of Treasury's Financial Management Service, or FMS, works with various federal agencies to ensure that a taxpayer has no unpaid federal or state debt before issuing a refund. FMS applies your overpayment of tax -- refund -- to delinquent federal or state tax, child support or debt owed to another federal or state agency before issuing a refund. Once the offset is complete, FMS sends a notice advising you of the amount of your offset as well as any remaining refund. You can contact FMS at (800) 304-3107 if you have questions. The Federal Tax Refund Offset Program, enacted by Congress in 1981 and administered by FMS, collects past-due child support payments from the tax refunds of parents who have been ordered by a court to pay child support. The Office of Child Support Enforcement (OCSE), the Internal Revenue Service, FMS and state child support agencies cooperate in sharing information on taxpayers who are delinquent in child support, as well as collecting and disbursing those offsets. State agencies submit names and Social Security numbers of taxpayers who are behind on child support, and FMS takes care of the rest. The IRS can use all or part of your tax refund to satisfy state or federal back taxes. If you owe back taxes, your refund will be offset to pay the outstanding debt. This tax offset will apply even if you have a standing payment agreement with the IRS. For example, even if you made an installment agreement with the IRS that allows you to make monthly payments on your debt, it does not prevent the IRS from offsetting your tax refund. If you owe a debt, your refund will be taken and applied to that debt. It is not uncommon for spousal support to be offset at the same time that child support is offset. In addition, if you owe student loan debt or any other state debt, including unemployment compensation debts owed to the state, the IRS has a right to offset your refund. If you file jointly with someone who owes a federal or state debt, your joint refund is in danger of being offset to cover your spouse's debts. If you do not owe a debt and your spouse does, file Form 8379, Injured Spouse Allocation, to ensure that you receive your portion of the joint tax refund. You are only eligible to claim injured spouse relief if you paid tax during the tax year. Can the IRS Hold Your Refund if You Didn't Pay Your Local Taxes Last Year? Can I File as Married Filing Jointly if a Spouse Owes Child Support? Will They Garnish My Tax Return if I Owe Social Security?